Our art class took a turn toward Memorial Day with various versions of the painting shown above. As we take time to rest, relax and reflect this weekend, let us remember those who have made the ultimate sacrifice for the freedoms we enjoy. 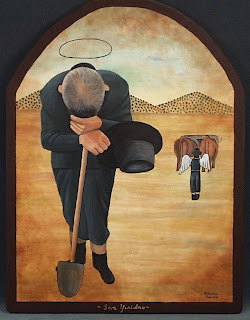 Did you know that May 15 is observed as the Feast Day of St. Isidore the Farmer? Known for his love of the poor, Isidore (1070-1130) -- a simple farmworker in Madrid, Spain -- is a patron saint of farmers and farm laborers. According to legend, a spring miraculously sprang up and watered the fields where Isidore was planting. This inspires some people -- to this very day -- to pray for Isidore's intercession in times of drought. Another legend portrays Isidore inviting a large group of beggars to a feast to which he had been invited. When the host complained that he did not have enough food, Isidore assured him that God would provide. Indeed, not only was there enough food, but there were leftovers! A final legend tells of Isidore recklessly feeding grain to flocks of starving birds. However, when the sacks of grain reached the mill for which they were destined, they were miraculously full and produced double the amount of flour expected. May St. Isidore watch over our garden and may we have a fruitful harvest! Claudia explains the concept of "square foot gardening." Click here (and scroll down to page 4) to access an article about the Passaic Neighborhood Center for Women in the Winter 2015 issue of the newsletter of the Franciscan Sisters of Peace (FSP). Thanks to Sister Elaine Maguire, FSP, Associate Director of the Center, for writing the article and for her tireless efforts on behalf of the women of Passaic. Garden Build Day 2: Complete! Go to the iGive web site -- www.igive.com -- and sign up. Choose the Passaic Neighborhood Center for Women as your cause. Each time you shop at any of the 1,500+ retailers, a percentage will automatically be donated to the Passaic Neighborhood Center for Women. Thank you for continuing to support the Passaic Neighborhood Center for Women in the many, many ways that you do! Indeed, what's in a number . . . and when was the last time you saw a post on this blog with that title? 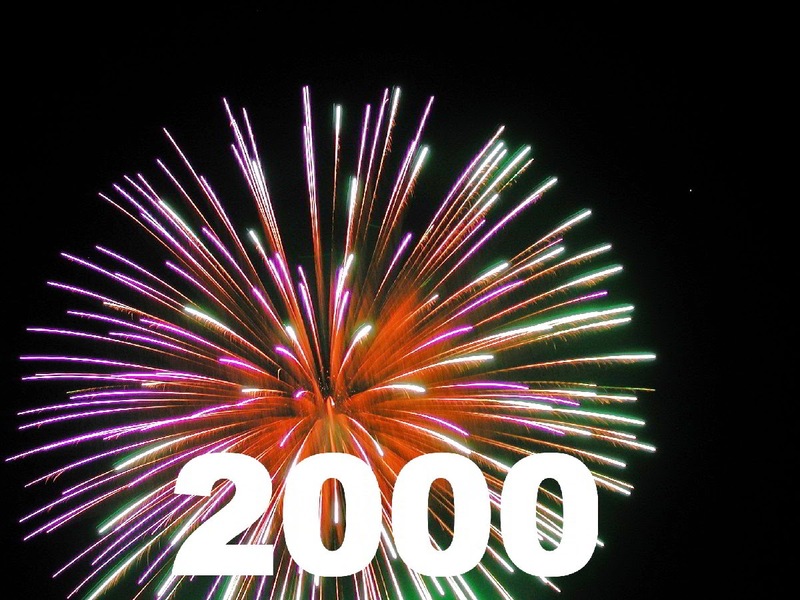 To refresh your memory: On August 6, 2014, we reported to you that the Passaic Neighborhood Center for Women had seen its 1,000th visit. 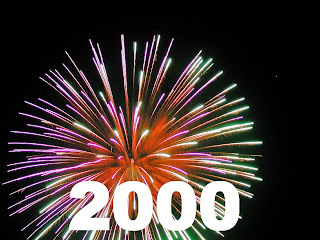 Today, we are happy to tell you that during the week of April 20, 2015, the Center saw its 2,000th visit! The Center exists to provide a safe, peaceful, welcoming place where women can become empowered by sharing their needs and being connected to the relationships and resources to fulfill their needs. This is the mission we keep in our sight every single minute of every single day. While our mission is not about numbers, statistics or accounting, it is very nice to be able to tell you that we have seen 2,067 visits since opening day, September 24, 2013. To put this in perspective, we have seen more visits (1,036) during the 8 months of our second year than we did during our first twelve months (1,031). Our team of women, staff and volunteers made this possible! Our diocese, religious communities, parishes and other benefactors made this possible! We are grateful to be able to continue to do God's work in the City of Passaic. We are happy to share this news with you. Thank you and God bless you! On Saturday, May 2, we began the task of building the beds where we will plant this year's garden. Thanks to everyone from City Green, to Ann Marie (our garden coordinator), to our other volunteers and the women who came out to begin the process. There's still much work to be done to prepare for our May 15 planting date. We will have another work day on Thursday, May 7, beginning at 10 am. Please call Sister Ann Marie at the Center -- (973) 470-0844 -- or email her at sam@patersondiocese.org if you are able to assist. We will be building at least four more beds and filling them with soil. Even if you cannot come, if you can loan us a cordless drill for a week or two, we would be most grateful.